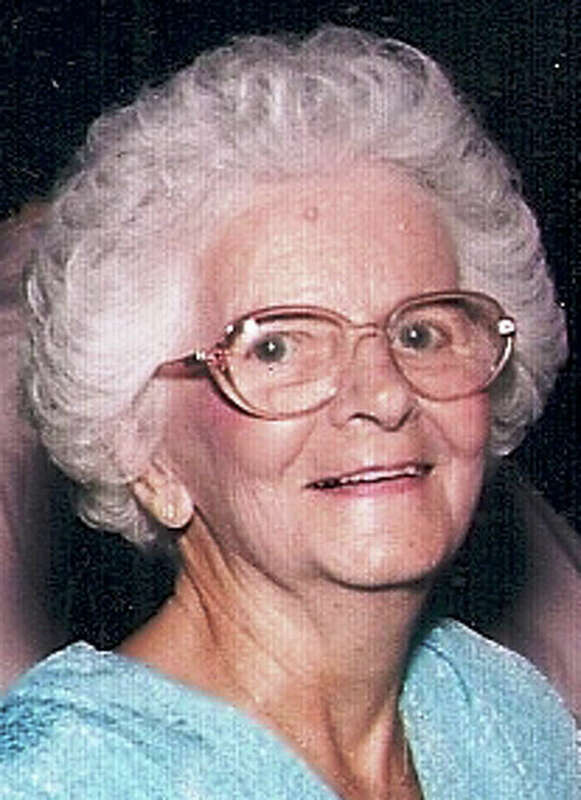 Virginia Hopkins Bebon, 100, a former Fairfield resident and the wife of 77 years to the late Francis (Frank) Bebon, died Feb. 5 at home. Born and raised in Brooklyn, N.Y., she had been a resident of New Hyde Park and Syracuse, N.Y., before retiring in Palm Harbor, Fla. She and her husband moved to Fairfield 20 years ago to be closer to her family. She worked in the Purchasing Department of Nassau County, N.Y., until her retirement. She was a member of the Rosary Society, and enjoyed bowling as a pastime with her friends and family. She is survived by her three children, Richard Bebon and his wife, Cynthia, of Fairfield, Barbara Burritt of Fairfield and William Bebon and his wife, Jacquelyn, of Indiana; nine grandchildren, David Bebon and his wife, Zoe, of Fairfield, Michael Bebon and his wife, Barbara, of New York City, Jennifer Bebon-Grascher and her fiancé, Ted Eyes, of Fairfield, Mari Flicker and her husband, James, of Fairfield, James Bebon and his wife, Jacqueline, of Easton, Michael Burritt and his wife, Chris, of New York, Amy Dodd and her husband, Thomas, of New York, Andrew Bebon of California, and Anne-Marie Stedge and her husband, Brett, of Indiana; and 25 great-grandchildren. A memorial Mass will take place in the spring and will be announced by the Lesko & Polke Funeral Home, 1209 Post Road, Fairfield. Memorial contributions in may be made to Assumption Church, 545 Stratfield Road, Fairfield CT 06825. To sign a guest register, visit www.LeskoPolkeFuneralHome.com.